(91outcomes.com) - The Los Angeles Times reports that a new study suggests that sufficient levels of a critical gut bacterium may provide significant health benefits, while a deficiency is linked to serious health issues and an aging body. The study by the National Institute of Aging (NIA), a division of the U.S. National Institutes of Health (NIH), also found that reductions in the key bacterium were linked to reductions in other key gut bacteria, and their beneficial byproducts critical to good health. Among those byproducts in butyrate, a short-chain fatty acid. 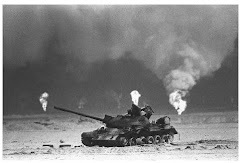 A new Gulf War Illness study, published in July, by researchers at the Universities of South Carolina, Illinois, and Boston University found that butyrate is deficient in an animal model of GWI and that its restoration improves complications related to GWI. The NIA-NIH study suggests the gut bacterium may also play a key role in the creation of polyphenols. Polyphenols also appear to be low in 1991 Gulf War veterans with Gulf War Illness. An unrelated, ongoing clinical trial in New Jersey is examining the benefits of polyphenol supplementation in veterans ill with GWI. 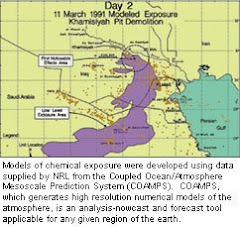 Both of the Gulf War Illness studies are funded by the treatment-focused Gulf War Illness Research Program (GWIRP), part of the Congressionally Directed Medical Research Program. Move over Bifidobacterium and Lactobacillus. There’s a new health-promoting gut bacterium in town, and it’s called Akkermansia muciniphila. You will not find its benefits at the bottom of a yogurt cup. But a new study has identified more than one way to nurture its growth in the gut, and offered evidence that it may maintain — and even restore — health as we age. Published this week in the journal Science Translational Medicine, the new research found that in mice and monkeys whose metabolisms had grown cranky with age, taking steps to boost A. muciniphila in the gut reduced the animals’ insulin resistance. Insulin resistance is the gradual impairment of the body’s ability to efficiently use food for fuel. It is best known as a way station on a patient’s path to developing type 2 diabetes. But insulin resistance is also linked to a rogue’s gallery of ills, from obesity and inflammation to the sagging immunity and frailty that comes with advancing age. If a readily available means of slowing or reversing insulin resistance could be identified, it might have broad and powerful anti-aging effects (in addition to protecting some of the world’s 650 million adults who are obese against developing type 2 diabetes). First identified in 2004, Akkermansia muciniphila inhabits the large intestine and is thought to account for between 1% and 5% of all intestinal bacteria in adults. Scientists suspect it helps preserve the coat of mucus that lines the walls of our intestines. It may also play a role in making the polyphenols we eat in plant-based foods more available to our cells. Evidence is mounting that A. muciniphila is involved in obesity, glucose metabolism and intestinal immunity. For instance, a 2018 study of cancer patients suggests that it plays a role in immune response. Compared to patients who failed to be helped by a new generation of immunotherapy, those who did had a greater abundance of Akkermansia in their guts. When researchers took the stool of a patient who responded positively to the cancer-fighting therapy and transplanted it into lab animals with human cancers, the recipients became more likely to respond positively to the same treatment. In the new research, a team from the National Institute on Aging examined the molecular chain of events that appears to result from A. muciniphila’s depletion in mice and macaque monkeys. And they assessed the effects of restoring this gut microbe to elderly animals. First, they documented that the guts of older animals had markedly smaller populations of A. muciniphila than the guts of young animals, and that as A. muciniphila became more scarce, so did butyrate, one of the gut’s key protectors. The deficiency of these two substances caused the mucous walls of the of the aged animals’ intestines to thin and grow leaky. That corrosive process unleashed a chain of events that touched off inflammation, prompted an immune response and, in a final step, increased insulin resistance. Key to that final step was the accumulation in the gut of a specific kind of immune cell called 4BL cells. If the detrimental chain of events was to be disrupted, the accumulation of those 4BL cells probably had to be stopped, the researchers surmised. The researchers also documented what appeared to be a role for A. muciniphila in fostering healthy diversity among the garden of other microbes that colonize the gut. In animals with scant populations of A. muciniphila, a host of other common gut bacteria — as well as their beneficial byproducts, particularly butyrate — also suffered. When the researchers gave aged mice butyrate, the result was higher A. muciniphila levels and levels of insulin resistance that approached those seen in the younger animals. They got the same results when they gave aged mice and macaque monkeys the antibiotic enrofloxacin, a broad-spectrum antibiotic used in veterinary medicine. In both animals, enrofloxacin — which is not considered safe for use in humans — routinely wiped out the 4BL cells that were thought to be a key link in the chain leading to insulin resistance. With them out of the picture, A. muciniphila levels rose and insulin resistance largely disappeared, demonstrating their pivotal role. The results suggest “that the insulin resistance and other pathologies associated with aging and even frailty can be ameliorated by targeting” the cascade of events that flow from the depletion of of Akkermansia muciniphila, the study authors wrote. Belgian researcher Patrice Cani, who is exploring a probiotic form of Akkermansia that could increase its presence in the human gut, said the new findings are “perfectly in line” with studies that have shown the bacteria’s impact on insulin sensitivity. Finding the power of this gut bacteria in macaque monkeys is a particularly important step forward that supports “even more the need for future research in humans,” added Cani, who is based at the Catholic University of Louvain in Belgium. Cani and his colleagues have just finished a small study in humans to investigate the safety and the feasibility of taking Akkermansia in a form that will boost its populations in the gut — a first. The results to date have been encouraging, he said.